One of the most popular items at our spring pop-up shop is now for sale in our online store. 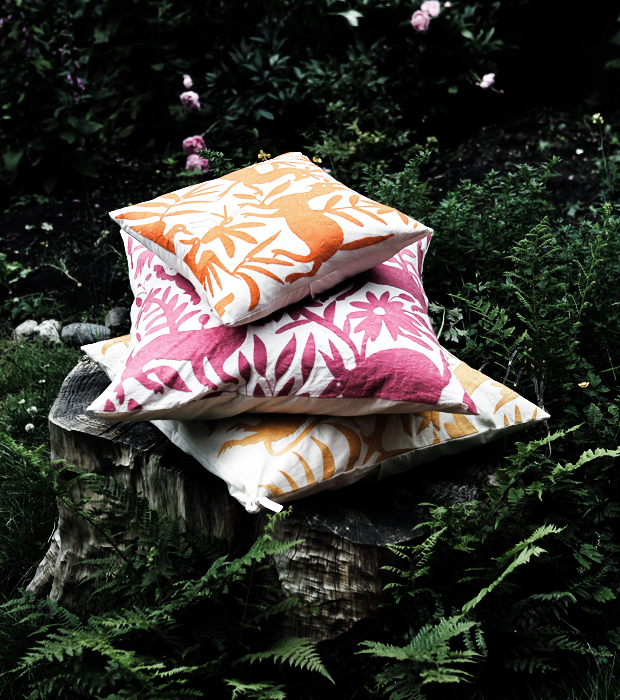 These handmade, embroidered pillows seem to be a favourite with many of our customers. When Janaki showed me an article about the French high fashion house Hermès featuring indigenous Mexican embroidery art in their designs, I knew these beauties would fly off the shelves, and they most certainly did. Luckily for everyone that couldn't make it to our pop-up, we have a limited amount still available. Hand embroidery is a traditional craft that has been practiced for hundreds of years and is used to decorate a wide range of items from handkerchiefs and throw pillows to tablecloths and clothing.